Netscape Navigator did not go quietly into the night. Instead, it's been reborn with version 9 as an extension of the Netscape social news site. 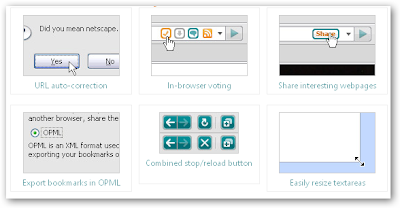 The new browser is tightly integrated with Netscape.com services, letting you easily submit stories and track what your friends are voting for. Essentially, it's like a specialized version of Flock, the social media browser that integrates publishing photos, blogging, and social bookmarking, but it only works for Netscape. Two new features are notable: URL correction and Link Pad. URL correction corrects any misspelled words or missing punctuation that you type into the address bar. That means you won't have to worry about the .CM scam. The Link Pad is a handy feature that lets you drag-and-drop links into the sidebar for later study. Unless you're an active Netscape.com user, the new Navigator won't bring anything significant to the table, but if you are, Navigator is ideally suited to your needs.